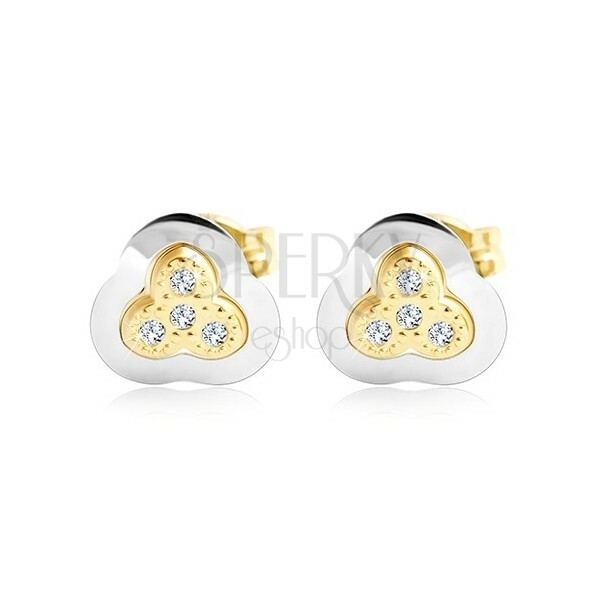 14K gold earrings, a small three-leaf clover in two colours, tiny round clear zircons, stud closure. 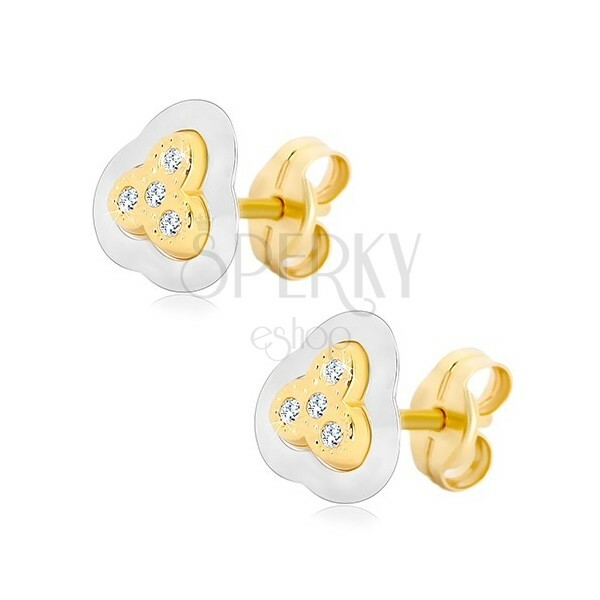 By buying this product you can collect up to 30 points as a voucher of $8.10. Your reward points. 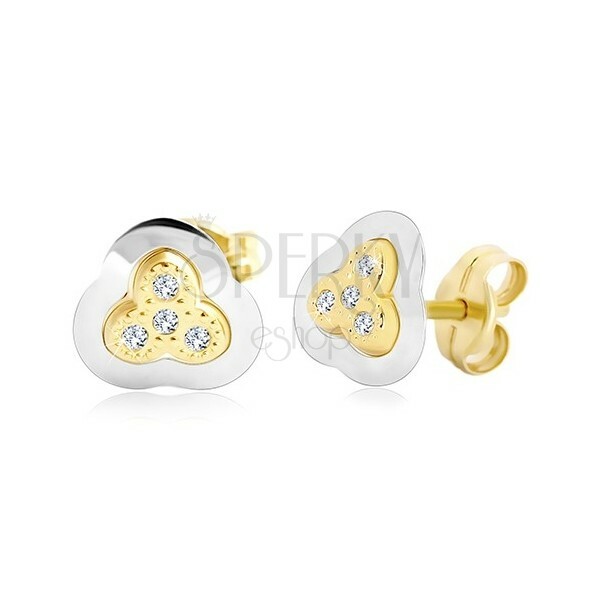 Earrings in combined 14K gold are in the shape of a three-leaf clover with round petals. 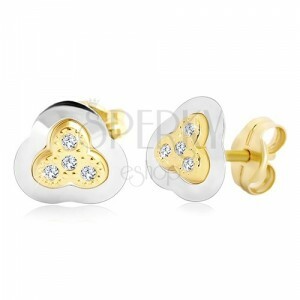 The center made of yellow gold is slightly raised and is decorated with tiny clear zircons in a round shape. The outline is shiny, smooth and made of white gold. 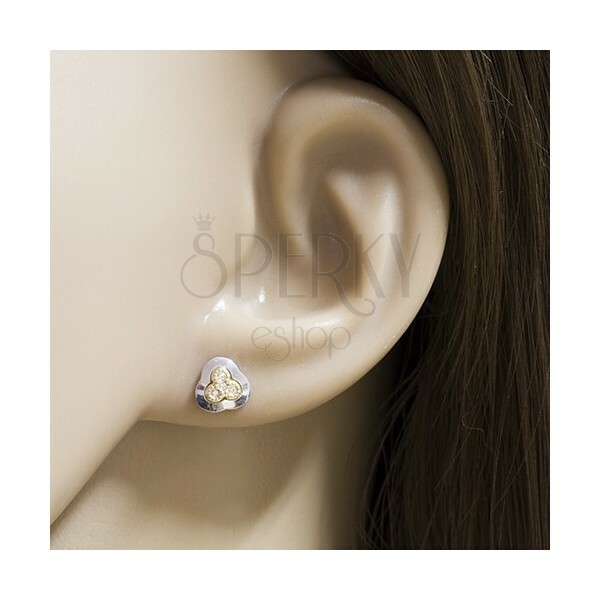 The earrings have removable closure retained by friction.